Distributed by Hahnel in the UK, the Tokina Opera 16-28mm F2.8 is an affordable wide-angle lens for Canon and Nikon full-frame DSLR cameras. This lens has a complex optical design with 15 elements in 13 groups, low distortion and low light falloff, a One-Touch Focus Clutch Mechanism, and Silent Drive autofocusing. 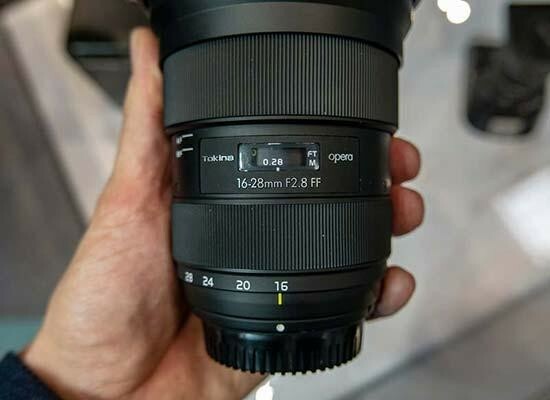 The Tokina Opera 16-28mm F2.8 is priced at £699 / $699. Check out our gallery of hands-on photos of this exciting new DSLR lens. The new Samyang XP 10mm F3.5 is the World's widest, non-fisheye, distortion free prime lens for Canon and Nikon DSLR cameras. Now you can capture super-wide landscapes with 130° angle of view as well as architecture and indoor shots in super-high resolution and distortion-free. The Samyang XP 10mm F3.5 lens will be available during March 2019 with a suggested retail price of £949.99. 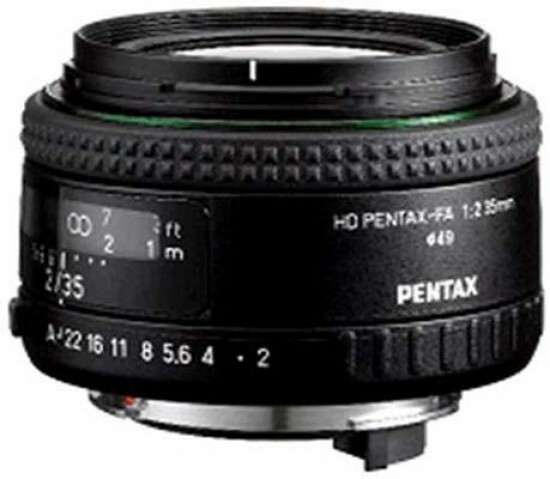 The HD PENTAX-FA 35mm F2 is a new wide-angle lens for Pentax full-frame DSLR cameras. 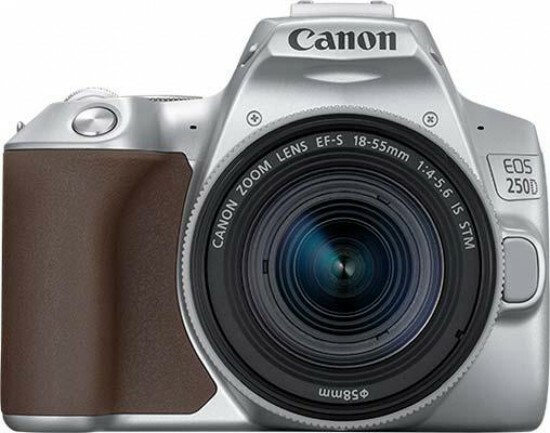 This compact lens features the latest lens coatings to further upgrade image quality. The HD PENTAX-FA 35mm F2 lens will cost £399.99 and be available in February 2019. 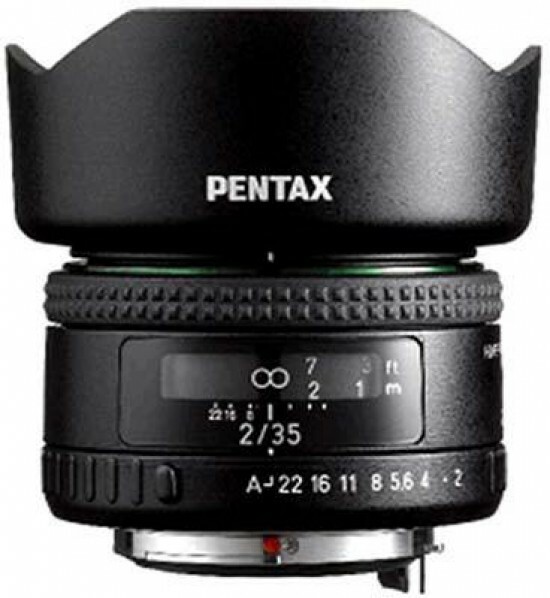 The HD PENTAX-DA* 11-18mm F2.8 ED DC AW is an ultra-wide-angle, Star-series lens for Pentax DSLRs, featuring a large F2.8 maximum aperture over the entire zoom range to deliver exceptional optical performance. The HD PENTAX-DA* 11-18mm F2.8 ED DC AW will cost £1,399.99 and be available in February 2019. 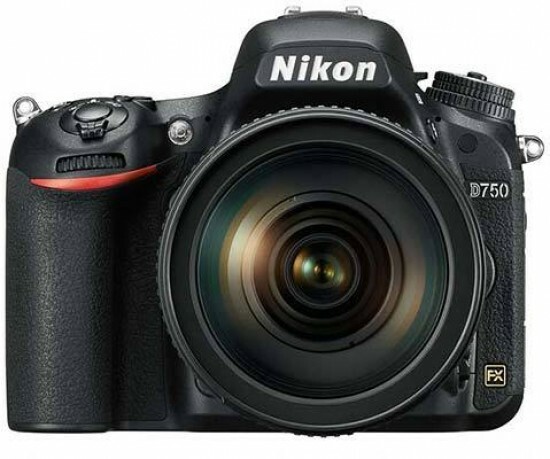 Nikon Japan has officially discontinued the D7200 and D5500 digital SLR cameras. 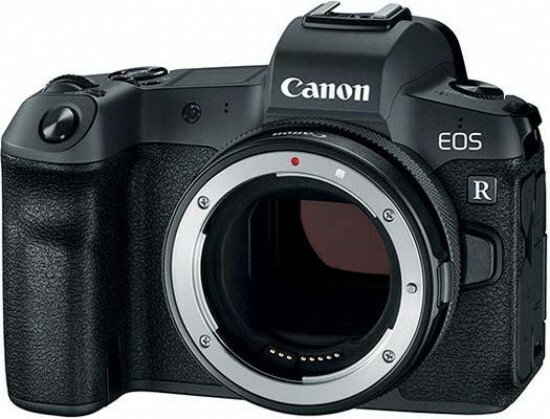 Both cameras were announced back in 2015. There's no word yet on what their replacements might be, or when they will be announced. 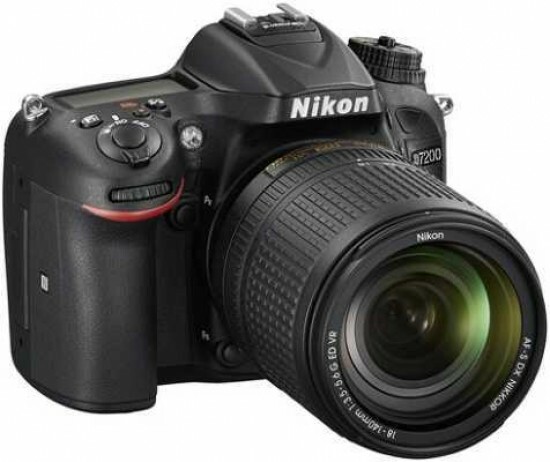 Nikon Japan has officially discontinued the D7200 and D5500 digital SLR cameras.Both cameras were announced back in 2015. There's no word yet on what their replacements might be, or when they will be announced. 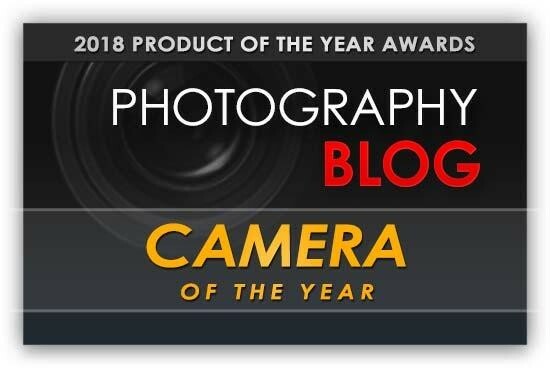 We're revealing our favourite products from 2018 in our annual awards, looking back at the essential photography kit that helped to define 2018. 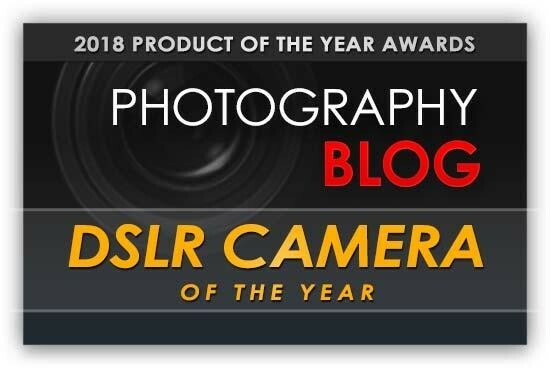 The Camera of the Year 2018 award goes to the Sony A7 III. Read our full Sony A7 III review. Honorable mentions go to the Fujifilm X-T3, Nikon Z 6, Nikon Z 7 and the Sony A7R III. The DSLR Camera of the Year 2018 award goes to the Nikon D3500. Read our full Nikon D3500 review. An honorable mention go to the Pentax K-1 Mark II. The new Irix 150mm f / 2.8 Macro 1: 1 is the most compact and lightest macro telephoto lens in its class. The Samyang XP 35mm F1.2 is the World's first 35mm lens for Canon EF with a constant F1.2 aperture. This manual-focus-only lens is compatible with the latest 50 megapixel or higher DSLR cameras and 8K filming. 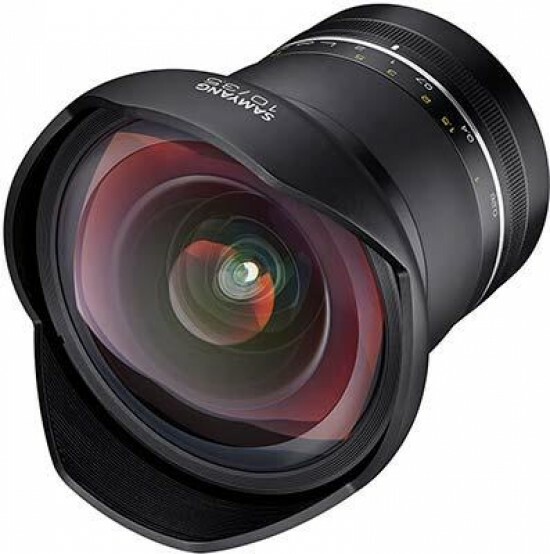 It features a 9-blade circular aperture for beautiful background blur and bokeh and is comprised of 12 elements in 10 groups, including a special aspherical lens, a high refractive lens, and an extra refractive index lens.The Samyang XP 35mm F1.2 weighs 1106g and measures 117.4mm in length. Minium focusing distance is 0.34m and the maximum magnification ratio is x0.17. 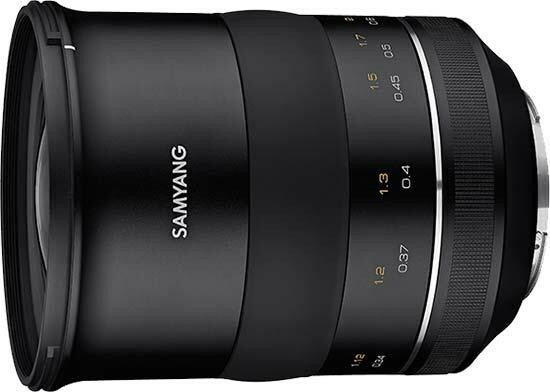 The availability and price of the Samyang XP 35mm F1.2 are yet to be announced. Note that it will not be released in Europe for the time being. Nikon UK has today launched its Winter Cashback promotion, offering up to £275/€300 on selected Nikon cameras and NIKKOR lenses in time for the festive period. 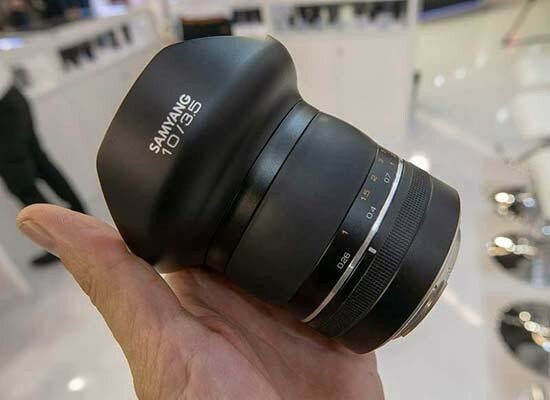 Want to see exactly what the new Samyang 10mm f/3.5 lens for full-frame DSLR cameras looks like in the flesh? Check out our hands-on gallery of photos of the Samyang 10mm f/3.5 lens for full-frame DSLR cameras, which is the World's widest-angle lens for full-frame cameras. 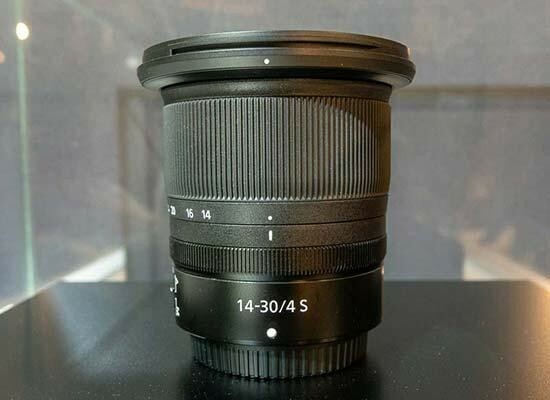 Apparently this lens will be released "in 2019" (nothing more specific than that) for Canon and Nikon DSLRs. 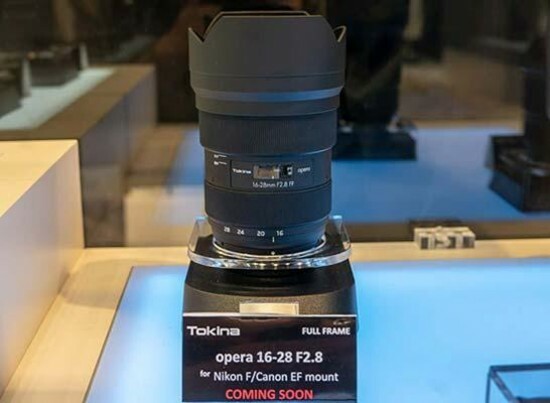 Want to see exactly what the new Tokina Opera 16-28mm f/2.8, 50mm f/1.4 and Firin 100mm f/2.8 AF Macro FE full-frame lenses look like in the flesh? Check out our hands-on gallery of photos of the Tokina Opera 16-28mm f/2.8 and 50mm f/1.4 full-frame lenses for Canon and Nikon DSLR cameras, while the Firin 100m macro lens is for Sony E-mount. 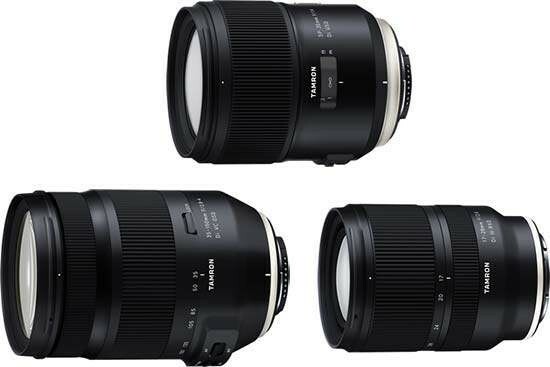 The Tokina Opera 16-28mm f/2.8 and Firin 100mm f/2.8 AF Macro FE are so new that Tokina haven't actually announced them yet. We were told that both lenses would be available next year, and we weren't allowed to handle either lens at all. Nikon may have announced all of their new products before the Photokina 2018 show, but there's still lots of interesting things to see on their stand. Prototypes of the new Z series 14-30mm f/4 and 58mm f/0.95 lenses are on display, along with an exploded view and barebones chassis of the Nikon Z 7 camera, not to mention the new D3500 DSLR (remember those?!). Check out our gallery of photos of the Nikon Photokina 2018 stand. 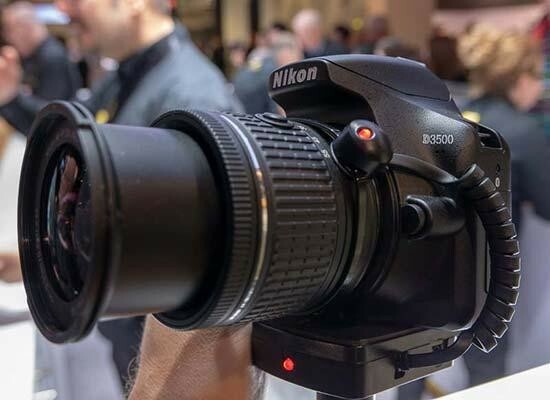 Want to see exactly what the new Nikon D3500 DSLR camera looks like in the flesh? Check out our extensive hands-on gallery of photos of the Nikon D3500 DSLR camera. Want to see exactly what the new Nikon D3500 DSLR camera looks like in the flesh? Check out our extensive hands-on gallery of photos of the Nikon D3500 DSLR camera. 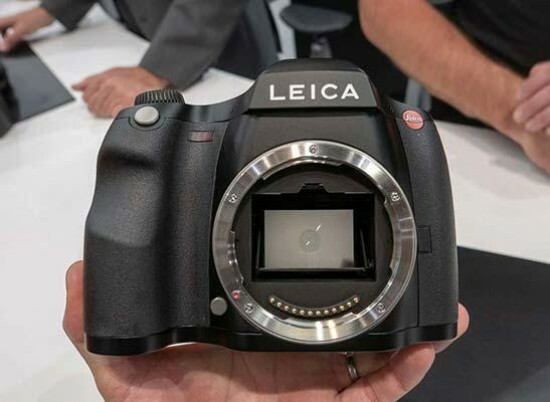 Want to see exactly what the new Leica S3 SLR camera looks like in the flesh? Check out our extensive hands-on gallery of photos of the Leica S3 SLR camera. Want to see exactly what the new Leica S3 SLR camera looks like in the flesh? Check out our extensive hands-on gallery of photos of the Leica S3 SLR camera. Leica Camera have made five exciting announcements at Photokina 2018, including a groundbreaking, industry-setting L-mount, a new mobile application, Leica FOTOS, the Leica S3, firmware updates and a new color option for the Leica CL. 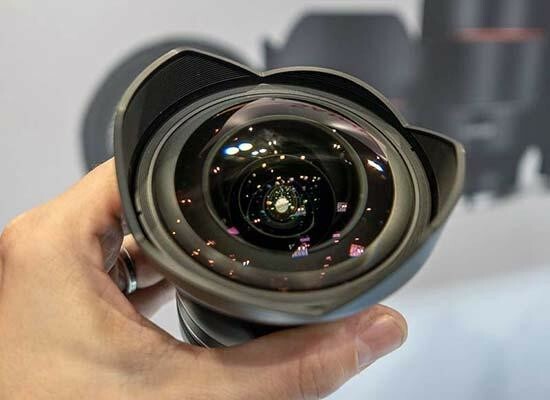 Leica L Mount: A first-of-its-kind pioneered by Leica in strategic alliance with Panasonic and SIGMA, the Leica L-Mount allows for a nearly limitless array of creative options by combining different interchangeable lenses with cameras featuring different sensor formats. Leica S3: The brand new Leica S3 medium format camera features a striking increase in resolution and impeccable performance in any lighting situation. Leica FOTOS: New mobile application Leica FOTOS enables Leica photographers to instantly transfer photos from a camera to a phone, as well as features an immersive viewing experience that allows photographers to assess and edit every detail of a raw image, including exposure. 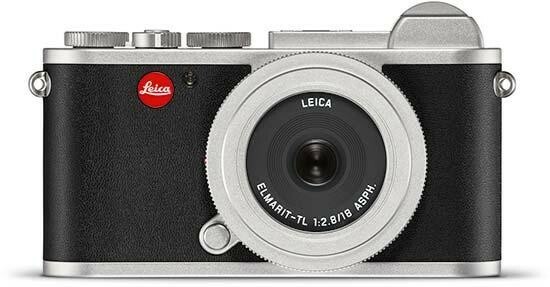 Leica CL Silver: The Leica CL, a versatile, fast and compact system camera, is now available in a sleek silver finish. Exciting Firmware updates are now available for Leica SL-System, Leica S (Typ 007), Leica M10 and Leica M10-P.